Small daggers and knives are great! They can be carried in pockets, purses, and handbags and are useful for cutting boxes, string, plastic, and whatever else you may need to open! The Small Dragon Dagger is perfect for daily use! This small, common style blade is decorated with a long-bodied, Asian dragon on the hilt. The dragon stands on four legs, its back legs being shorter than the front. Long whiskers curl down from the dragons snouts and a long mane adorns the back of its head. A furry tail curls behind the dragon, making a loop through which things can be tied. The scabbard of this pocket dagger depicts a European style dragon, with four legs and two wings, as it flies over water and a sea monster, whose head makes the curved end of the scabbard. 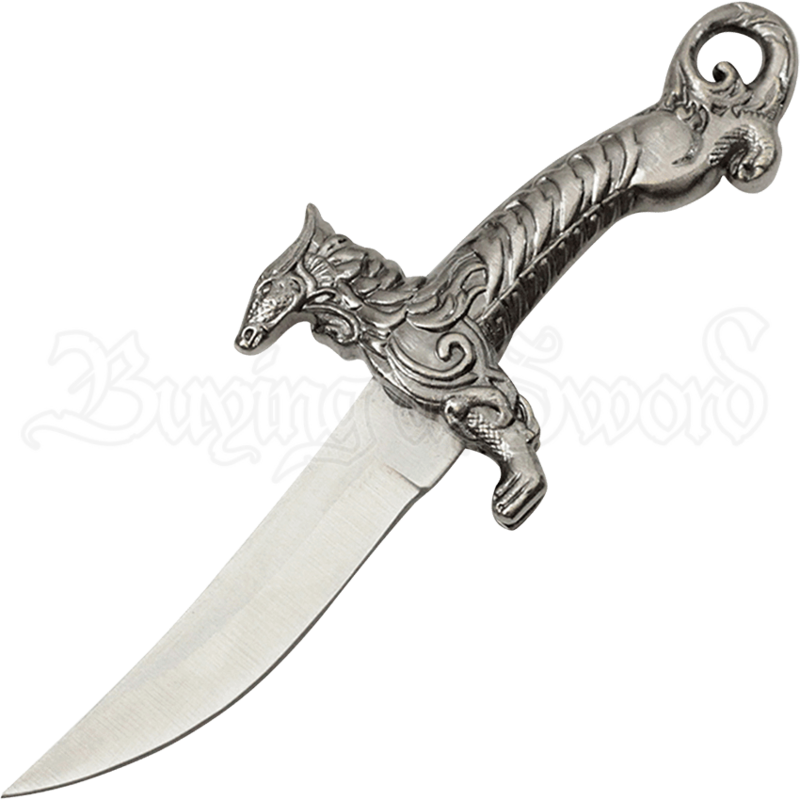 Carry this small blade with you wherever you go and be prepared to open anything, or give it to a friend or loved one who likes dragons and every day carry blades!